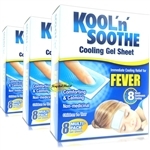 Kool N Soothe Fever is designed to provide immediate cooling relief to your hot/feverish child. and reassurance for you. 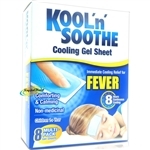 Kool N Soothe Fever can also be used during the hot summer months to cool and refresh. 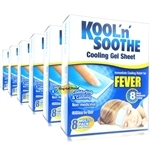 Store in a cool dry place avoiding direct sunlight and high temperature. Do not store in the freezer.